Therapy has evolved over the years, and people seeking therapy are more and more looking for strategies to work through or cope with their challenges and issues. 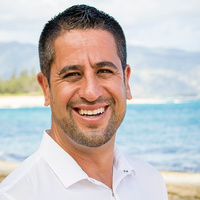 David uses a variety of techniques to incorporate what will be most helpful to individuals and couples, including Cognitive Behavioral Therapy and Solution-Focused Therapy. In a comfortable and supportive atmosphere, he works together with you to identify and explore solutions to concerns, build on your strengths, and help achieve goals. You'll be able to relax and be yourself while making positive differences in your life!